"Developed in 1937, Skin Culture Peel is a safe, effective home skin peel that helps rejuvenate the surface of your skin..."
It creates a smooth and controlled shedding of several layers of skin cells which enables the new layers to be exposed, generating a new, radiant tone and texture to the surface of the skin. It can be used by anyone of any age, skin type, and skin color. Skin Culture Peel gives you beautiful results and is done in the privacy of your home. All it requires is 90 minutes a day for six days - and then see and feel the amazing results for yourself! By removing the build up of dead, dry, surface skin the Skin Culture Peel allows newer, healthier skin to emerge that is clearer, smoother, and younger looking. The videos below show how to apply the skin peel and the benefits you get from the treatment. Effective Ingredients For Real Results! The secret to Skin Culture Peel's effectiveness is the combination of three amazing skin exfoliators into a one of a kind treatment that has proven for over 80 years to get results! RESORCINAL, which through its keratolytic action causes the outer layer of the skin to loosen and shed. It is especially effective in helping to remove skin blemishes, redness, marks and scars while also addressing discoloration and sun damage. SALICYLIC ACID, which works as a keratolytic, comedolytic, and bacteriostatic agent. It causes the cells of the epidermis to shed more readily, clearing clogged pores and neutralizing bacteria, to help promote healthy skin cells. PHENOL (less than 2%), which for centuries has been regarded as one of the best skin exfoliators and is only used in professional grade peeling treatments. While some chemical peels may feature just one of these ingredients, our unique formulation allows us to combine all three powerful exfoliators into a multi-acid peeling cream suitable for all skin types, skin colors, and skin problems. The treatment also contains oils of Thyme, Eucalyptus and Wintergreen, which have long been recognised in natural healing science as effective holistic healing agents for many skin problems. During the 6 days the exclusive and safe formula of the Skin Culture Peel gently peels away aged and damaged skin revealing New, Clear, Younger Looking Skin. The peel cream is left on skin for 90 minutes each day. After the first day's application the skin will become slightly tanned. On the second day the skin will feel tight and on the third day the skin will take on a healthy robust look, will be darker in color and slightly wrinkled. 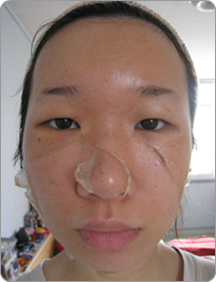 Generally, the skin will not start peeling until day five, and will continue peeling into days six and seven. On the 4th, 5th and 6th day peeling starts around the eyes and mouth areas and then the chin, cheeks and forehead. Peeling may continue beyond the 6 days and the complexion will continue to look better as old skin is replaced by new skin that is tighter, smoother and younger looking. Thick or toughened skin may flake rather than peel and a second or stronger peeling may be needed. 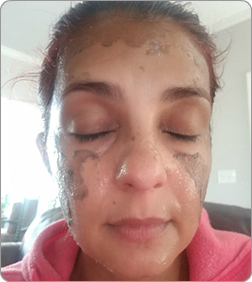 The results described on our Testimonial and Client Review pages, and elsewhere on this site, are the individual experiences and personal opinions of those who have purchased the Skin Culture Peel. 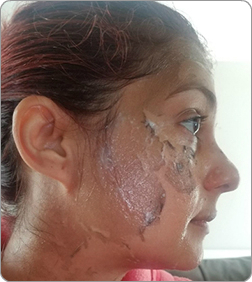 Skin Culture does not claim these stories, opinions and results described represent the typical result that someone who uses the skin peel can generally expect to achieve. Results from the Skin Culture Peel differs from individual to individual and no claims and promises are being made or implied about the average, typical or expected results of the skin peel.